Upgrade your Convenience- Make an Online Loan Payment with PCFCU! Can I pay a loan with my PCFCU Account? You can pay any loan with your PCFCU Checking or Savings Account by signing in to Netbranch. 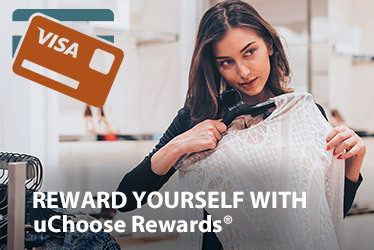 Can I pay my PCFCU Visa Credit Card Online? Yes, you can pay your Visa Credit Card through our online site. Can I pay my loan from another Financial Institution? Yes, you need the Routing and Account number to pay your loan from any Financial Institution. Can I register more than one loan or link my accounts together? Yes, you can link your accounts to show under one user registration. To do so, login under one account. Click on Manage Linked Accounts under Account Summary. Click the box to Link Additional Accounts, enter the required information and continue. Online Loan Payments through Pinal County FCU are absolutely FREE! What types of loans are available for online loan payments? Most loans are available for online payments including; signature, new auto, used auto, Home Equity, Home Equity Line of Credit, RV, Boat, Cycle. Mortgage Loans and Visa Credit Cards are not available for online payments through this site. What is the minimum and maximum payment amount? Payments made by card, can be between $0.01 - $800.00. Payments made from another bank account can be between $0.01 - $6,000. Can I set up recurring loan payments? Yes, you can make one-time payments or schedule a recurring payment that best fits your needs. It is giving me an error when trying to link my accounts? If both loans are already established with a user account, you will need to de-register one of the accounts in order to link the two accounts together. It is giving me an error when trying to register a new account? You may need to contact the credit union at 520-381-3100 to ensure we have your correct personal information on file including your name, social security number and email address.